I grew up in Park Hills, and I still spend quite a bit of time roaming the streets there today. I thought I would share some of my favorite things to do and see in and around Park Hills & Devou Park with you so that you too will know about some of the fabulous things this gem of a city has to offer. 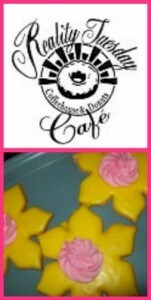 When spending a day in Park Hills & Devou Park I highly recommend starting the day at Reality Tuesday, where you will find coffee, tea, sweets, baked goods and more. You can read all about it here, in Michelle’s post. After breakfast head over to Trolley Park on Amsterdam Road with the kids. 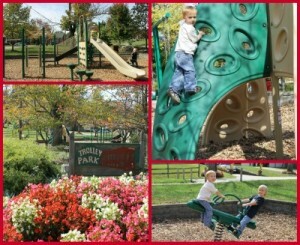 We just went there last week for a playdate, and I was excited to see a brand-new park. They just finished renovations & have installed new equipment. There are also a few picnic tables if you’ve packed a snack or lunch. And there’s a great big grassy area for running or playing ball, or just laying on the picnic blanket reading a book. The boys had a blast! It’s a beautiful park, surrounded by gorgeous flowers planted by the Village Green Committee. 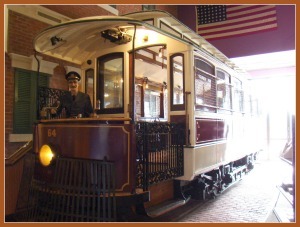 After Trolley Park there are several options. For starters, you could take a walk through Devou Park. There are paved walking paths throughout the park, and the scenery is always pretty. I love taking walks through the park (Often times you’ll even see deer!). 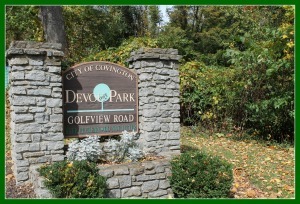 Devou Park is not technically part of Park Hills, it is in Covington, but it’s so close! 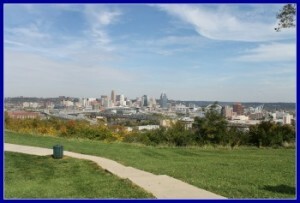 During your walk be sure to stop by the “Overlook” by the Drees Pavilion for a breath-taking view of Covington & Cincinnati. This is another perfect picnic spot, and there are a few more playgrounds for the kids at the overlook and also near the Concert Bowl in Devou. While in Devou, be sure to stop by the Behringer Crawford Museum for a visit! 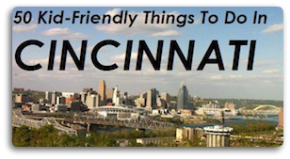 So many cool things to do and see there, and you can read all about it in my post found here. Other things to do in Devou: Catch a show at the Concert Bowl, go fishing at Prisoner’s Lake, hike or bike the Nature Trails, you can even play a round of golf at the Devou Park Golf Course. For Lunch in Park Hills I recommend grabbing a sandwich from Finke’s or Chef Barone’s. Both offer tasty and quick lunch options to grab on the go! If you know someone who is looking for a place to host an event (wedding, holiday celebration, office party, etc), there are two great places in this area: the Drees Pavilion and The Gardens of Park Hills. After a busy day in Park Hills & Devou I highly recommend heading to Szechuan Garden on Dixie Highway in Park Hills for dinner. 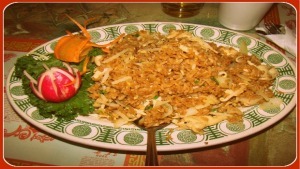 It’s one of my family’s favorite places to eat! Have I left something out? Do you know of something fun to do in Park Hills or Devou Park? Please leave a comment! Wander on over to www.thelittlethingsjournal.com to see what Katie and her little things are up to this week! I second Behringer-Crawford Museum. My kids love going there with all of the hands on things to do. My 5 yr old son just had his birthday party there and they had a blast. I’d also give a shout out to Lachavios Produce, located next to Reality Tuesday. My boys love going in there and helping pick out produce and treats. They also have a great deli. This looks like a great park to visit. I love all the tips on where to go too. Will definitely check it out.